Transom exhaust connection in EDPM rubber with high gloss polished stainless steel trim ring. Can be mounted to the transom easily and flexibly. 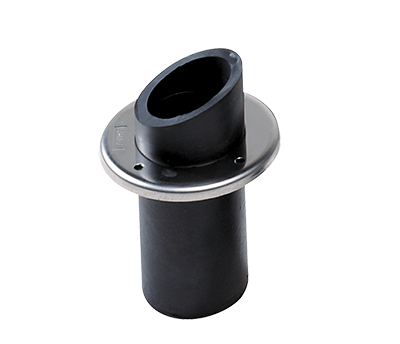 VETUS mufflers and goose necks with corresponding dimensions can be fitted directly. For connection of the exhaust hose, a plastic hose connector will be required.